Table 1. Synthesis of water chemistry data from soda lakes (n=17) in Nhecolândia, with comparison to the compilation of freshwater and soda lake chemistry reported in Costa et al. (2015). The Pantanal is the most conserved biome in Brazil and among the last wild refuges in South America, but intensification of agriculture and other land use changes present challenges for protecting this exceptionally biodiverse wetland ecosystem. Recent studies have shed new light on the origins and biogeochemistry of a suite of >600 small saline-alkaline lakes in Nhecolândia, a floodplain setting located south of the Taquari River in south-central Pantanal. These soda lakes form a unique aquatic environment in Pantanal and nascent research on their geomicrobiology suggests that their biota may be analogous to early life, and extreme life in Earth's deep biosphere. We argue that the conservation of the soda lakes in the lower Nhecolândia region should be an important strategic component of any conservation plan that aims to mitigate the advance of unsustainable land-use change in the Pantanal. Soda lake conservation has important implications for the carbon cycle, as these landforms sequester carbon dioxide and transmit considerably lower concentrations of methane in comparison to macrophyte-rich freshwater lakes in the region. Further, minerals precipitated in the saline-alkaline lakes are leveraged for cattle consumption, and therefore the continued presence of the lakes is critical for allowing pantaneiro ranchers to pursue certified organic, sustainable beef production systems. Beyond protecting soda lakes and their surrounding forests (mata de cordilheiras) for food systems security, the conservation strategy would also allow further research of little studied extremophile biodiversity and biogeochemistry, with potential for biotechnological innovations attendant to UN Sustainable Development Goals. The unique and remarkably biodiverse Pantanal wetlands form an important conservation target in western Brazil (Box 1). The Pantanal lowlands are a lake-rich landscape (Box 2), and one of the most famous lake districts within the wetlands is lower Nhecolândia (Fig. 1). Until recently, most geological and geomorphological studies of lower Nhecolândia relied heavily on remote sensing datasets. However, field research that included direct sampling of water and sediment from lakes in Nhecolândia has steadily increased over the past two decades, such that new insights are now available on the origins and evolution of these lentic ecosystems from geological and hydrochemical perspectives. Perhaps the most compelling research results have come from Nhecolândia's soda lakes (Fig. 2). In general, soda lakes are alkaline-saline aquatic ecosystems dominated by well-adapted extremophile life such as cyanobacteria (Dundas, 1998; Knauth, 1998), giant mimiviruses (Abrahão et al., 2018) and aerobic and anaerobic archaea, prokaryotes and eukaryotes (Visscher et al., 2010). Cyanobacteria and haloarchaea in soda lakes (McGenity et al., 2000; Malone et al., 2012) usually rely on Na+/H+ antiporter systems that maintain neutral pH in the cell solution under extreme alkalinity (Elanskaya et al., 2002; Summerfield and Sherman, 2008). The antiporter consists of a protein catalyst that exchanges Na+ and H+ through cell membranes. This microbial skillset likely appeared during early evolution and is commonplace to several biophysical processes such as euryhalinity and pH regulation (Karpel et al., 1988; Zhu, 2001; Inaba et al., 2001; Krulwich et al., 2001; Ito et al., 2017). The active incorporation of H+ while eliminating Na+ enhances sodication of soda lakes, whose pH usually range from 9 to 13 (Grant, 2004; Horikoshi et al., 2010). The Pantanal (16–20°S, 55–58°W, <200m asl mean elevation) forms one of the largest neotropical lowland interior wetlands in the world (Assine et al., 2015). Spanning the borders of Brazil, Bolivia, and Paraguay, the Pantanal forms the headwaters of one of South America's largest watersheds, the Paraguay-Paraná basin (Fig. 1). A floodplain-savanna type wetland, the Pantanal's hydrology is controlled by the Upper Paraguay River, which flows along the western margin of the basin (McGlue et al., 2011). Seasonal flooding of the Upper Paraguay controls a host of ecological interactions and biochemical processes in the wetlands, including floodplain primary production, carbon cycling, fish spawning patterns, bird migrations and rookery development, and predator-prey interactions (Hamilton, 2002). The Pantanal is home to a remarkably diverse set of flora and fauna, and it is famous for its rich and abundant birdlife, as well as its predators, which includes the jaguar (Panthera onca) and giant otter (Pteronura brasiliensis) (Carter and Rosas, 1997; Junk et al., 2006; De Pinho and Marini, 2012; Soisalo and Cavalcanti, 2006). Recognition by Ramsar and UNESCO-World Heritage Center has placed a spotlight on the Pantanal ecosystem in the past several decades, and conservation efforts have been made to protect threatened animal and plant life. Today, deforestation and other land cover changes on highlands adjacent to the Pantanal are prompting changes in riverine sediment loads, discharge, nutrient content and contaminants, which threaten the natural ecosystem (Bergier, 2013). In addition, deforestation in the Amazon threatens to modify precipitation in the Pantanal, as do climatic changes that alter the South American Monsoon (Bergier et al., 2018). Geological archives of environmental change, though still relative uncommon for the Pantanal, show that the region has been at times considerably drier than present, particularly in the early Holocene, when low insolation in the southern hemisphere tropics weakened the monsoon (McGlue et al., 2012; Novello et al., 2017; Guerreiro et al., 2018). The human population in the Pantanal is low but growing, and the ecosystem services provided by the wetlands are important for sustaining food resources, transportation, and the tourism economy. Ranchers, locally known as pantaneiros, take advantage of the Pantanal's natural landscape and lush vegetation for maintaining their cattle herds. Though the Pantanal is defined by the presence and flooding cycle of the Upper Paraguay River, the wetlands are home to many thousands of lakes with different origins, morphologies, and aquatic characteristics (Por, 1995). From a geological perspective, the headwaters of the Paraguay-Paraná basin owes its existence to the formation of the Andes cordillera and the development of the central Andean foreland basin. The Pantanal sits >500km from the Andean foothills in a shallow, kidney-shaped sedimentary basin known as a back-bulge depozone (Horton and DeCelles, 1997). Back-bulges are characterized by their low gradients and alluvial, fluvial, lacustrine and palustrine sedimentary environments (Cohen et al., 2015). Low gradients in the Pantanal make the basin particularly susceptible to floodwater inundation, hydrologic connectivity, and energy flow among lotic and lentic ecosystems. The largest and deepest (up to 9m) lakes in the Pantanal are located on the basin's western margin; typically these lakes are hydrologically open, fresh, and seasonally connected to the Upper Paraguay River (McGlue et al., 2011; Lo et al., 2017). By contrast, the saline/alkaline (“soda”) lakes of Nhecolândia are completely isolated from the Upper Paraguay River and its flood pulse. The soda lakes of Nhecolândia are situated on a fossil megafan lobe south of the present-day Taquari River. These small saline/alkaline lakes are very shallow, hydrologically closed, and surrounded by sandy ridges covered by trees. Interestingly, both freshwater and oligohaline ponds exist in close proximity to the soda lakes, and strong evidence exists to show that groundwater flow paths and the presence of cemented soils in the subsurface helps to control hydrochemistry in these small lentic ecosystems (Furian et al., 2013). The biota of the soda lakes is restricted and often contrasts sharply both with macrophyte-covered freshwater lakes of Nhecolandia, as well as the deep lakes found adjacent to the Paraguay River (Guerreiro et al., 2018; Benito et al., 2018). Perhaps most intriguing, measurements reported in Bergier et al. (2016) show that CH4 fluxes from the soda lakes are considerably lower than those from the freshwater lakes, and that the soda lakes are a net sink for CO2, whereas the freshwater lakes are a source of CO2 to the atmosphere. The conservation of soda lakes thus has implications for greenhouse gas dynamics in the Pantanal, in addition to providing new research opportunities associated with extremophile life and biotechnology. Overview map of the Pantanal wetlands (modified from Guerreiro et al., 2018). Inset map (upper left) shows the location of the Pantanal basin (gray) in South America. (A) Hydrogeomorphology of the Pantanal. Numbers correspond to important fluvial features that comprise the surficial geology of the basin. Note the location of the Upper Paraguay River along the western margin of the basin. (B) Schematic map of the Taquari River megafan. Nhecolândia is a fossil lobe of the Taquari system; the southwestern region is the primary lake district, where >600 soda lakes currently mark the landscape. (A) A soda lake of the lower Nhecolândia landscape with brownish microbial mats (C, D) and greenish exopolysaccharide (EPS) (B). Bacterial mats (C, D) of cyanobacteria are usually associated with other extremophile microbial life such as SRP and methanotrophs or methanogens. (E–I) Photographs of soda lakes and mata de cordilheiras in the Lower Nhecolândia, with different degrees of cyanobacteria blooms. See text for details. Contrasting with other hypotheses (e.g., Duarte et al., 2008), the unlimited access to C via carbonate equilibrium makes soda lakes highly productive and net organic and inorganic C sinks in relation to the atmosphere, particularly under daytime sunlight (Des Marais, 1995; Ludwig et al., 2005; Bergier et al., 2016). While carbonate saturates, scarcely available H+ ions are drawn into cells of halophilic and halotolerant cyanobacteria, (Dundas, 1998; Knauth, 1998), which are responsible for considerable atmospheric N2 fixation (Genuário et al., 2017), and anoxygenic phototrophic bacteria (Grant, 2004). SRP, bacteria and/or archaea, produce copious amounts of EPS (Fig. 2) (Braissant et al., 2007) playing a role in C dynamics by influencing: (1) the morphology and mineralogy of authigenic calcium carbonate minerals (Ludwig et al., 2005; Braissant et al., 2007), and (2) the AOM through complex mats of bacterial colonies floating beneath the air-water interface or lying over the oxic/anoxic water-sediment boundary layer (Knittel and Boetius, 2009). The coupled synergies of planktonic and benthic extremophiles are therefore major drivers of excessive alkalinity/sodicity and organic and inorganic C burial in Nhecolândia's soda lake sediments (Bergier et al., 2016; McGlue et al., 2017) that ultimately leads to sapropel formation, which has analogs to marine diagenesis (Hallberg, 2004; Süß et al., 2004) (Figs. 2 and 3). A recent finding that reinforces oceanic and soda lake sedimentological similarities is the presence of a new mimivirus, named Tupanvirus (Abrahão et al., 2018), discovered in the sediments of a soda lake in lower Nhecolândia and in deep marine sediments (about ∼3km below the ocean surface) off the Atlantic coast of Brazil. Development of microbially induced sedimentary structures in soda lake Salina Coração. (A–D) Preliminary stages with traces of EPS and bacterial mats encountered along the shorelines of soda lakes. (E–H) Diagenesis of Ca carbonates and Fe oxides from lithifying microbial communities in circular shapes, similar to stromatolites. (I) Organic C-rich sapropel development in a sediment core retrieved from a soda lake and lithological log of the core pictured. Most soda lakes in lower Nhecolândia exhibit similar stratal development, suggesting a common set of processes influenced their formation. A patchy landscape of freshwater and soda lakes has developed in the lower Nhecolândia (Fig. 1) (Assine and Soares, 2004; Barbiero et al., 2008; Bergier et al., 2016; Costa et al., 2015; McGlue et al., 2015). Topographic and flooding variations have led to a wide diversity of aquatic environments, making lower Nhecolândia one of the most biodiverse areas in South America (Por, 1995; Evans and Costa, 2013; Costa et al., 2015). In Nhecolândia, soda lakes are termed salinas by the traditional Brazilian community of pantaneiro ranchers, who have been colonizing the region for more than two centuries (Abreu et al., 2010). These soda lakes have been conserved and wisely managed by pantaneiros because they provide minerals (e.g., sodium and potassium salts) for cattle-raising in sustainable beef production (Brum and de Sousa, 1985; Pott et al., 1989). The most reliable estimates based on radar imaging and field data indicate that the soda lakes of lower Nhecolândia are distributed within 637 pans that cover 98km2 (Costa et al., 2015), which gives an average area of 0.15km2 per soda lake. Geomorphologically, soda lakes of the lower Nhecolândia are shallow and surrounded by fine sandy shorelines (McGlue et al., 2017). Their water depth usually does not exceed 1–2 meters during the austral summer (Fig. 2). The water chemistry of typical soda lakes from lower Nhecolândia is summarized in Table 1. Synthesis of water chemistry data from soda lakes (n=17) in Nhecolândia, with comparison to the compilation of freshwater and soda lake chemistry reported in Costa et al. (2015). Radiocarbon dating, sedimentary geochemistry, and paleoecological analyses of sponges, pollen and diatoms from sediment cores indicate soda lakes likely evolved from freshwater lakes (Figs. 3 and 4) (McGlue et al., 2017; Becker et al., 2017; Guerreiro et al., 2018). Early hypotheses on the origin of soda lakes in lower Nhecolândia speculated that the lakes formed by wind erosion during the Last Glacial Maximum, about 20,000yrs before present. For decades, Nhecolândia's lacustrine landscape was considered to be inherited from the arid climate of the late Pleistocene, and as such the soda lakes were considered relict landforms on the southern Taquari megafan (Tricart, 1982; Valverde, 1972; Zani et al., 2012). Another major issue on soda lake evolution was the timing of alkalinization and sodication. Several researchers believed that the unique water chemistry was also inherited from the late Pleistocene aridity, or was related to the abandonment of ancient meandering fluvial channels in the paleo-drainage network (Tricart, 1982; Clapperton, 1993). More recently, sediment cores have revealed an important change in lithofacies and geochemistry in sediments of soda lakes (Fig. 3). Radiocarbon data suggest that early-middle Holocene aridity was most likely responsible for deflating sand in the fossil southern Nhecolândia megafan lobe; this geological disruption likely created depressions of variable depths with complex marginal sand ridges (cordilheiras), providing suitable conditions for shallow lake formation (Assine and Soares, 2004; McGlue et al., 2017). Lakes fully surrounded by mata de cordilheiras evolved into soda lakes, because the water cycles of these basins were limited to groundwater recharge and evaporation, rather than integration within seasonal flood channels (Fig. 2). Organic-rich sediments, carbonate concentrations, siliceous microfossils and pollen data corroborate the hypothesis that these shallow water bodies evolved into salinas during the late Holocene, when the SAMS became stronger (McGlue et al., 2017; Becker et al., 2017; Guerreiro et al., 2018). Therefore, instead of Pleistocene environmental changes (Tricart, 1982; Valverde, 1972; Clapperton, 1993), Holocene events are now believed to be responsible for modeling the lower Nhecolândia landscape, making the evolution of soda lakes a more recent phenomena (McGlue et al., 2017; Guerreiro et al., 2018). Total inorganic carbon (TIC) and total organic carbon (TOC) chemostratigraphic profiles for sediment cores collected from soda lakes in lower Nhecolândia. These data show mean TIC and TOC concentrations and ranges for common depth horizons in seven soda lake cores. Note the development of carbonate-rich sapropels 50–0cm that is common to all cores in our database, which likely reflects the influence of microbial processes. A remarkable feature of soda lakes is the deposition of organic C-rich sapropel sediments (Gaskova et al., 2017). In the lower Nhecolândia, the sediments of soda lakes exhibit total organic carbon (TOC) ranging from 0.84 to 10.85wt% (McGlue et al., 2017; Fig. 4). In addition, soda lakes can be easily distinguished from freshwater lakes by the absence of aquatic vegetation around their shores, which are due to fine to very fine white sands that are characteristic of the lower Nhecolândia. These sandy sediments extend offshore tens of meters, where they are overlain by sapropel (Fig. 2). Moreover, AOM can also be coupled to the reduction of iron oxides by SRP (Egger et al., 2014; Bar-Or et al., 2017). A correlation between organic C and S in sapropel formation has also been found to be a result of the metabolism of SRP at the time of deposition of organic C-rich layers (Berner, 1984), eventually leading the precipitation of Fe oxides and Ca carbonates (Pruysers et al., 1993; Ludwig et al., 2005; Braissant et al., 2007) in structural shapes resembling stromatolites or sedimentary rock ledges (Fig. 3). The surface water isolation via the mata de cordilheiras (Becker et al., 2017) and geochemical barriers to groundwater flow (chemically cemented soils; Barbiero et al., 2008) are both essential conditions for lake isolation, alkalization and sodication. Nevertheless, we argue that extremophiles interacting with the physical environment may also explain to a large extent the rise and maintenance of extreme alkalinity and sodicity. For instance, extremophile macroscopic algae of the family Characeae found in soda lakes of Nhecolândia also display an antiporter Na+/H+ (Beilby and Casanova, 2014; Beilby, 2015). As a result, it is likely that geochemical and biogeochemical feedback processes jointly sustain high levels of alkalinity and sodicity at soda lakes (Bergier et al., 2016). Furthermore, SRP associated with methanogens/methanotrophs (Egger et al., 2014; Bar-Or et al., 2017; Timmers et al., 2017) corroborate to maintain the high levels of CH4 oxidation (Bergier et al., 2016), diagenetic calcium carbonate mineralization (Braissant et al., 2007; Knittel and Boetius, 2009; McGlue et al., 2017; Guerreiro et al., 2018) and organic C sapropel deposition (Figs. 4 and 5) (Bergier et al., 2016; McGlue et al., 2017; Guerreiro et al., 2018). In fact, more relevant than the lack or the availability of O2 is the organic C preservation in sapropel sediments that may be associated with high rates of C deposition and mineralization by complex anaerobic extremophile life (Canfield, 1994), such as those verified to exist in soda lakes of the lower Nhecolândia. General biogeochemical model of a typical C-sink soda lake in Nhecolândia, Pantanal (after Bergier et al., 2016; McGlue et al., 2017; Guerreiro et al., 2018). See text for details. Fig. 5 illustrates a simplified biogeochemical model for Salina Coração (Fazenda Barranco Alto, Aquiduana, Brazil), a soda lake that has sedimentary and hydrochemical features believed to be typical of other salinas in lower Nhecolândia. The morphology of Salina Coração is shown in Fig. 2E. Surrounded almost entirely by mata de cordilheiras, Salina Coração's shallow stratigraphy consists of tan very fine sands underlying dark brown muds, with cryptic biogenic structures marking the contact between the two units. Benthic habitats are conditioned by limited O2. Conservation of soda lakes affords pantaneiros the opportunity to access these environments for sustainable beef production, as these basins provide a natural source of salts and minerals to supplement cattle diet while on the range. Further, conservation of soda lakes will allow for new research progress on aquatic biochemistry and sediment geomicrobiology through sampling and drilling. Biomarker studies on sediments and pore fluids from lakes like Salina Coração hold promise for unlocking the molecular processes associated with sapropel formation and authigenic mineralization, which could have analogs to petroleum source rocks such as those in Cretaceous basins in Brazil (e.g., Spigolon et al., 2015). Such studies would also add considerably to the knowledgebase of the extremophile biosphere for lower Nhecolândia. Mineralogical and geophysical studies on soda lake margins are likewise needed, especially for further investigating the processes associated with chemical cementation of sands in the vadose zone that are important to the regional hydrology (Furian et al., 2013). The pristine landscapes of the Pantanal biome have been well conserved due to pantaneiros’ sustainable beef production system (Abreu et al., 2010). However, more intensive and profitable food production in the Brazilian Cerrado (e.g. Buller et al., 2015; Bergier et al., 2019) have impacted their competitiveness. Several farms in Nhecolândia have been sold recently, which have had visible impacts on pristine landscapes (Padovani, 2017). While allowing partial intensification of cattle production in more suitable farmland areas (Bergier et al., 2019), the conservation of biologically important landscapes, such as the soda lakes and mata de cordilheiras (Fig. 2), presents an opportunity to increase pantaneiros profitability and also reducing the C footprint in certified organic, sustainable beef production systems (Abreu et al., 2018). Studies of the petroleum industry at deep oceanic sites are complex and expensive. Assuming Nhecolândia soda lakes share similarities to marine environments, as reinforced by the common Tupanvirus (Abrahão et al., 2018), studies of the origin, evolution and formation of sapropel in soda lakes can be regarded as less expensive alternative for understanding processes relevant to the formation of oil reserves in deepwater marine reservoirs (Ots, 2007; Emeis, 2009) such as the Brazilian pre-salt. Studies of soda lake ecosystems (Parro et al., 2011; Sorokin et al., 2015) gained further attention after the discovery of liquid brines on Mars (Martín-Torres et al., 2015; Ojha et al., 2015). Understanding the origin and evolution of soda lakes, especially in relation to the interactions of microbial communities and geology, is useful for interpreting paleoenvironments, evolution and extinction processes taking place on both Earth and Mars (Jiang et al., 2007; Brasier et al., 2018). Microbial biotechnology may play an important role in the future, particularly for transitioning from linear economies where waste is high and value extraction is moderate, to circular economies where greater emphasis is placed on reducing waste and maximizing value. Microbial processes have already been implicated as a potential solution for improving wastewater treatment, to include reducing the carbon footprint and generating new sources of energy (e.g., Nielsen, 2017). Microbes in soda lakes therefore hold intrinsic value for additional study, in part because their function as an important C sink (Fig. 5) has already been established (Bergier et al., 2016). Conservation of Nhecolandia's soda lakes also dovetails with UN Sustainable Development Goals because they may provide as yet unknown opportunities for the Bioeconomy (United Nations, 2015). The origins and biogeochemistry of soda lakes in lower Nhecolândia (Pantanal wetlands, Brazil) have recently been unveiled, but much remains unknown about these unusual and extreme aquatic ecosystems. The soda lakes are important C sinks with poorly known geomicrobiology. The advance of unsustainable agricultural practices into the Pantanal lowlands poses a threat to the hydrologic function of the basin and the persistence of extant landforms such as the soda lakes. In order to circumvent this problem, soda lakes should be considered an important component in either private or governmental certification programs for certified organic, sustainable beef production in the region. Additionally, conservation of the soda lakes expands opportunities to study their extreme biota, which may provide clues to the evolution of early life on Earth, life on Mars, and life in the deep marine biosphere. The approach we advocate is in accord with the United Nation's Sustainable Development Goals (e.g., goals 6–8 and 11–17), thus helping to maintain Pantanal's conservation at higher sustainable levels. The authors are grateful to the São Paulo Research Foundation (FAPESP) for financial support of this project (grant #2014/06889-2). We thank the National Council for Scientific and Technological Development (CNPq) for research grants to LVW and MLA (grant #308563/2013-1), to Coordenação de Aperfeiçoamento de Pessoal de Nível Superior (Capes) for a doctorate scholarship to RLG. We thank L. Leuzinger and M. Santos for the photographs, and L. Luz, E. Merino, and H. Azevedo for support in the field. MM acknowledges support from University of Kentucky Vice President for Research for limnogeological studies in Nhecolândia. J. Abrahão, L. Silva, L.S. Silva, J.Y.B. Khalil, R. Rodrigues, T. Arantes, F. Assis, P. Boratto, M. Andrade, E.G. Kroon, B. Ribeiro. Tailed giant Tupanvirus possesses the most complete translational apparatus of the known virosphere. U.G.P. Abreu, I. Bergier, F. Costa, L.O.F. De Oliveira, E. Nogueira, J. Silva, D.D.N. Batista, C. Silva Junior. Sistema intensivo de produção na região tropical brasileira: o caso do Pantanal. Embrapa Pantanal – Série Documentos 155. U.G.P. Abreu, C. McManus, S.A. Santos. Cattle ranching, conservation and transhumance in the Brazilian Pantanal. T.I.R. Almeida, M.D.C. Calijuri, P.B. Falco, S.P. Casali, E. Kupriyanova, A.C. Paranhos Filho, J.B. Sigolo, R.A. Bertolo. Biogeochemical processes and the diversity of Nhecolândia lakes, Brazil. M.L. Assine, E.R. Merino, F.N. Pupim, L.V. Warren, R.L. Guerreiro, M.M. McGlue. Geology and geomorphology of the Pantanal basin. Quaternary of the Pantanal, west-central Brazil. I. Bar-Or, M. Elvert, W. Eckert, A. Kushmaro, H. Vigderovich, Q. Zhu, E. Ben-Dov, O. Sivan. Iron-coupled anaerobic oxidation of methane performed by a mixed bacterial–archaeal community based on poorly reactive minerals. L. Barbiero, A. Rezende Filho, S.A.C. Furquim, S. Furian, A.Y. Sakamoto, V. Vallès, R.C. Graham, M. Fort, R.D. Ferreira, J.Q. Neto. Soil morphological control on saline and freshwater lake hydrogeochemistry in the Pantanal of Nhecolândia, Brazil. Biochemistry, physiology and biotechnology of sulfate-reducing bacteria. B.F. Becker, S.A.F. da Silva-Caminha, R.L. Guerreiro, E.J. de Oliveira, C. D’Apolito, M.L. Assine. Late Holocene palynology of a saline lake in the Pantanal of Nhecolândia, Brazil. Salt tolerance at single cell level in giant-celled Characeae. X. Benito, S.C. Fritz, M. Steinitz-Kannan, M. Velez, M.M. McGlue. Latitudinal gradients of diatom metacommunities in tropical South America. Effects of highland land-use over lowlands of the Brazilian Pantanal. I. Bergier, A. Krusche, F. Guérin. Alkaline lake dynamics in the Nhecolândia landscape. I. Bergier, M.L. Assine, M.M. McGlue, C.J. Alho, A. Silva, R.L. Guerreiro, J.C. Carvalho. Amazon rainforest modulation of water security in the Pantanal wetland. I. Bergier, A.P. Souza Silva, U. Gomes Pinto de Abreu, L. Orcírio Fialho de Oliveira, M. Tomazi, F. Rodrigues Teixeira Dias, C. Urbanetz, E. Nogueira, J. Corrêa Borges-Silva. Could bovine livestock intensification in Pantanal be neutral regarding enteric methane emissions?. Sedimentary pyrite formation: an update. O. Braissant, A.W. Decho, C. Dupraz, C. Glunk, K.M. Przekop, P.T. Visscher. Exopolymeric substances of sulfate-reducing bacteria: interactions with calcium at alkaline pH and implication for formation of carbonate minerals. A. Brasier, D. Wacey, M. Rogerson, P. Guagliardo, M. Saunders, S. Kellner, R. Mercedes-Martin, T. Prior, C. Taylor, A. Matthews, J. Reijmer. A microbial role in the construction of Mono Lake carbonate chimneys?. P.A.R. Brum, J.C. de Sousa. Níveis de nutrientes minerais para gado, em lagoas (“baías” e “salinas”) no pantanal sul-mato-grossense. L.S. Buller, I. Bergier, E. Ortega, A. Moraes, G. Bayma-Silva, M.R. Zanetti. Soil improvement and mitigation of greenhouse gas emissions for integrated crop–livestock systems: case study assessment in the Pantanal savanna highland, Brazil. Factors influencing organic carbon preservation in marine sediments. Biology and conservation of the giant otter Pteronura brasiliensis. Nature of environmental changes in South America at the Last Glacial Maximum. A. Cohen, M.M. McGlue, G.S. Ellis, H. Zani, P.W. Swarzenski, M.L. Assine, A. Silva. Lake formation, characteristics, and evolution in retroarc deposystems: a synthesis of the modern Andean orogen and its associated basins. M. Costa, K.H. Telmer, T.L. Evans, T.I. Almeida, M.T. Diakun. The lakes of the Pantanal: inventory, distribution, geochemistry, and surrounding landscape. The biogeochemistry of hypersaline microbial mats. J.B. De Pinho, M.A. Marini. Using birds to set conservation priorities for Pantanal wetland forests, Brazil. C.M. Duarte, Y.T. Prairie, C. Montes, J.J. Cole, R. Striegl, J. Melack, J.A. Downing. CO2 emissions from saline lakes: a global estimate of a surprisingly large flux. Was the environment for primordial life hypersaline?. M. Egger, O. Rasigraf, C.J. Sapart, T. Jilbert, M.S. Jetten, T. Röckmann, C. van der Veen, N. Bândă, B. Kartal, K.F. Ettwig, C.P. Slomp. Iron-mediated anaerobic oxidation of methane in brackish coastal sediments. I.V. Elanskaya, I.V. Karandashova, A.V. Bogachev, M. Hagemann. Functional analysis of the Na+/H+ antiporter encoding genes of the cyanobacterium Synechocystis PCC 6803. Landcover classification of the Lower Nhecolândia subregion of the Brazilian Pantanal Wetlands using ALOS/PALSAR, RADARSAT-2 and ENVISAT/ASAR imagery. S. Furian, E.R.C. Martins, T.M. Parizotto, A.T. Rezende-Filho, R.L. Victoria, L. Barbiero. Chemical diversity and spatial variability in myriad lakes in Nhecolândia in the Pantanal wetlands of Brazil. O.L. Gaskova, V.D. Strakhovenko, N.I. Ermolaeva, E.Y. Zarubina, E.A. Ovdina. A simple method to model the reduced environment of lake bottom sapropel formation. D.B. Genuário, A.P.D. Andreote, M.G.M.V. Vaz, M.F. Fiore. Heterocyte-forming cyanobacteria from Brazilian saline-alkaline lakes. Life at low water activity. R.L. Guerreiro, M.M. McGlue, J.R. Stone, I. Bergier, M. Parolin, S.A. da Silva Caminha, L.V. Warren, M.L. Assine. Paleoecology explains Holocene chemical changes in lakes of the Nhecolândia (Pantanal-Brazil). Formation of Eastern Mediterranean sapropels—what can be learnt from Baltic Sea sapropels?. Hydrological controls of ecological structure and function in the Pantanal wetland (Brazil). The modern foreland basin system adjacent to the Central Andes. M. Inaba, A. Sakamoto, N. Murata. Functional expression in Escherichia coli of low-affinity and high-affinity Na+ (Li+)/H+ antiporters of Synechocystis. M. Ito, M. Morino, T.A. Krulwich. Mrp antiporters have important roles in diverse bacteria and archaea. H. Jiang, H. Dong, B. Yu, X. Liu, Y. Li, S. Ji, C.L. Zhang. W.J. Junk, C.N. Da Cunha, K.M. Wantzen, P. Petermann, C. Strüssmann, M.I. Marques, J. Adis. 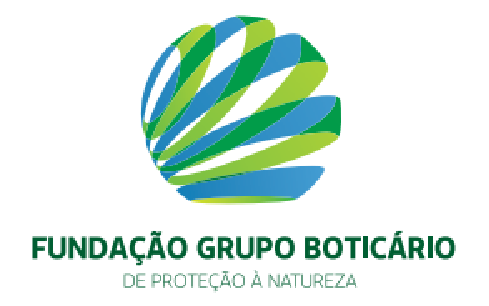 Biodiversity and its conservation in the Pantanal of Mato Grosso, Brazil. R. Karpel, Y. Olami, D. Taglicht, S. Schuldiner, E. Padan. Sequencing of the gene ant which affects the Na+/H+ antiporter activity in Escherichia coli. Salinity history of the Earth's early ocean. Anaerobic oxidation of methane: progress with an unknown process. T.A. Krulwich, M. Ito, A.A. Guffanti. The Na+-dependence of alkaliphily in Bacillus. E.L. Lo, A. Silva, I. Bergier, M.M. McGlue, B. Lima de Paula Silva, A.P. Souza Silva, L.E. Pereira, H.A. Macedo, M.L. Assine. Papel das macrófitas aquáticas na sucessão ecológica de feições geomorfológicas em leques aluviais do Pantanal: Lagoa Uberaba. R. Ludwig, F.A. Al-Horani, D. De Beer, H.M. Jonkers. Photosynthesis-controlled calcification in a hypersaline microbial mat. C.F.S. Malone, K.R.S. Santos, C.L. Sant’Anna. Algas e cianobactérias de ambientes extremos do pantanal brasileiro. F.J. Martín-Torres, M.P. Zorzano, P. Valentín-Serrano, A.M. Harri, M. Genzer, O. Kemppinen, E.G. Rivera-Valentin, I. Jun, J. Wray, M.B. Madsen, W. Goetz. Transient liquid water and water activity at Gale crater on Mars. T.J. McGenity, R.T. Gemmell, W.D. Grant, H. Stan-Lotter. Origins of halophilic microorganisms in ancient salt deposits. M.M. McGlue, R.L. Guerreiro, I. Bergier, A. Silva, F.N. Pupim, V. Oberc, M.L. Assine. Holocene stratigraphic evolution of saline lakes in Nhecolândia, southern Pantanal wetlands (Brazil). M.M. McGlue, A. Silva, M.L. Assine, J.C. Steve, F. Pupim. Paleolimnology in the Pantanal: using lake sediments to track quaternary environmental change in the world's largest tropical wetland. M.M. McGlue, A. Silva, H. Zani, F.A. Corradini, M. Parolin, E.J. Abel, A.S. Cohen, M.L. Assine, G.S. Ellis, M.A. Trees, S. Kuerten. Lacustrine records of Holocene flood pulse dynamics in the Upper Paraguay River watershed (Pantanal wetlands, Brazil). M.M. McGlue, A. Silva, F.A. Corradini, H. Zani, M.A. Trees, G.S. Ellis, M. Parolin, P.W. Swarzenski, A.S. Cohen, M.L. Assine. Limnogeology in Brazil's “forgotten wilderness”: a synthesis from the large floodplain lakes of the Pantanal. Microbial biotechnology and circular economy in wastewater treatment. V.F. Novello, F.W. Cruz, M. Vuille, N.M. Stríkis, R.L. Edwards, H. Cheng, S. Emerick, M.S. De Paula, X. Li, E.D.S. Barreto, I. Karmann. A high-resolution history of the South American Monsoon from Last Glacial Maximum to the Holocene. L. Ojha, M.B. Wilhelm, S.L. Murchie, A.S. McEwen, J.J. Wray, J. Hanley, M. Massé, M. Chojnacki. Spectral evidence for hydrated salts in recurring slope lineae on Mars. Estonian oil shale properties and utilization in power plants. Conversão da vegetação natural do Pantanal para uso antrópico de 1976 até 2017 e projeção para 2050. Comunicado Técnico 109. V. Parro, G. de Diego-Castilla, M. Moreno-Paz, Y. Blanco, P. Cruz-Gil, J.A. Rodríguez-Manfredi, D. Fernández-Remolar, F. Gómez, M.J. Gómez, L.A. Rivas, C. Demergasso. A microbial oasis in the hypersaline Atacama subsurface discovered by a life detector chip: implications for the search for life on Mars. The Pantanal of Mato Grosso (Brazil). E.B. Pott, I.L. de Almeida, P.R. de Baum, J.A. Comastri Filho, A. Pott, J.F. Dynia. Nutrição mineral de bovinos de corte do Pantanal Mato-grossense. 2. Micronutrientes na Nhecolândia (parte central). P.A. Pruysers, G.J. de Lange, J.J. Middelburg, D.J. Hydes. The diagenetic formation of metal-rich layers in sapropel-containing sediments in the eastern Mediterranean. Estimating the density of a jaguar population in the Brazilian Pantanal using camera-traps and capture–recapture sampling in combination with GPS radio-telemetry. D.Y. Sorokin, H.L. Banciu, G. Muyzer. Functional microbiology of soda lakes. A.L. Spigolon, M.D. Lewan, H.L. de Barros Penteado, L.F.C. Coutinho, J.G. Mendonça Filho. Evaluation of the petroleum composition and quality with increasing thermal maturity as simulated by hydrous pyrolysis: a case study using a Brazilian source rock with Type I kerogen. Global transcriptional response of the alkali-tolerant cyanobacterium Synechocystis sp. strain PCC 6803 to a pH 10 environment. J. Süß, B. Engelen, H. Cypionka, H. Sass. Quantitative analysis of bacterial communities from Mediterranean sapropels based on cultivation-dependent methods. P.H. Timmers, C.U. Welte, J.J. Koehorst, C.M. Plugge, M.S. Jetten, A.J. Stams. El Pantanal: un ejemplo del impacto geomorfologico sobre el ambiente. Resolution Adopted by the General Assembly on 25 September 2015: Transforming Our World: The 2030 Agenda for Sustainable Development. Fundamentos geográficos do planejamento rural do município de Corumbá. P.T. Visscher, C. Dupraz, O. Braissant, K.L. Gallagher, C. Glunk, L. Casillas, R.E. Reed. Biogeochemistry of carbon cycling in hypersaline mats: linking the present to the past through biosignatures. H. Zani, M.L. Assine, M.M. McGlue. Remote sensing analysis of depositional landforms in alluvial settings: method development and application to the Taquari megafan, Pantanal (Brazil).